Posted: March 10, 2015 in Picdump, Restaurant Review, Tummy Fillers, Where Have I Been? 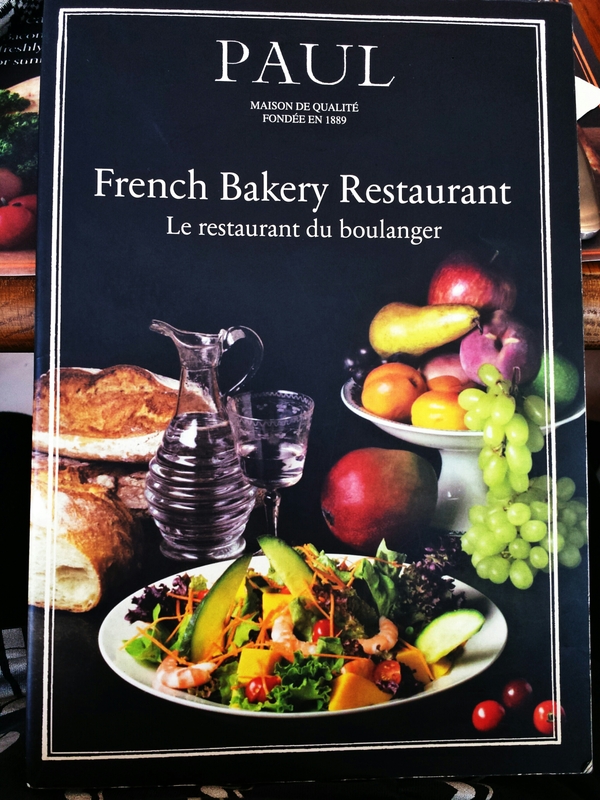 PAUL Boulangerie and Patisserie has been around in France since the late 1880’s. After more than 100 years, Filipinos get to vicariously eat ~authentic French~ pastries without leaving the country, thanks to the local franchise brought in by THE Ben Chan. 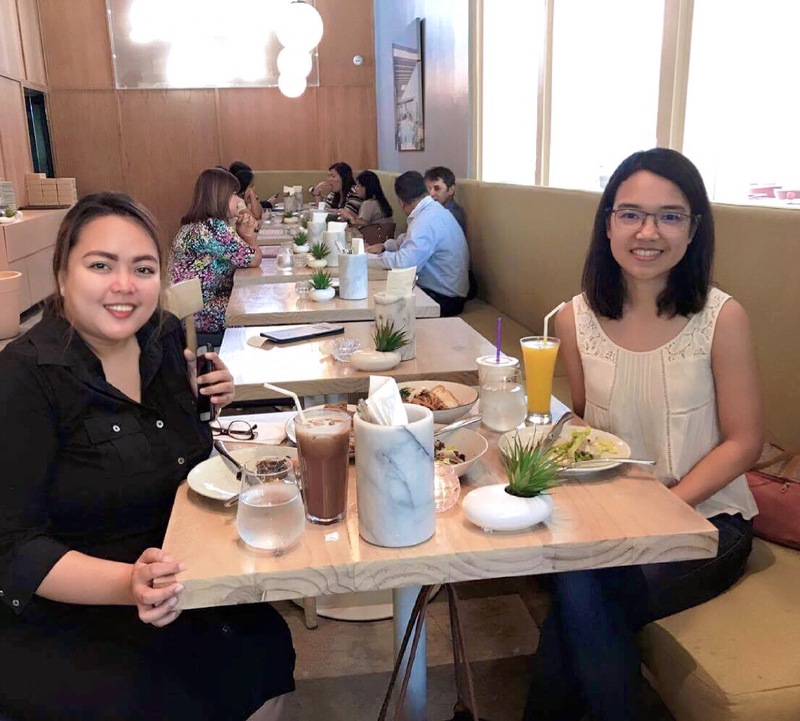 Luckily, one of the newly opened franchise is very near my office building and on a Friday, my teammates and I decided to have our lunch at PAUL (Bench Tower). 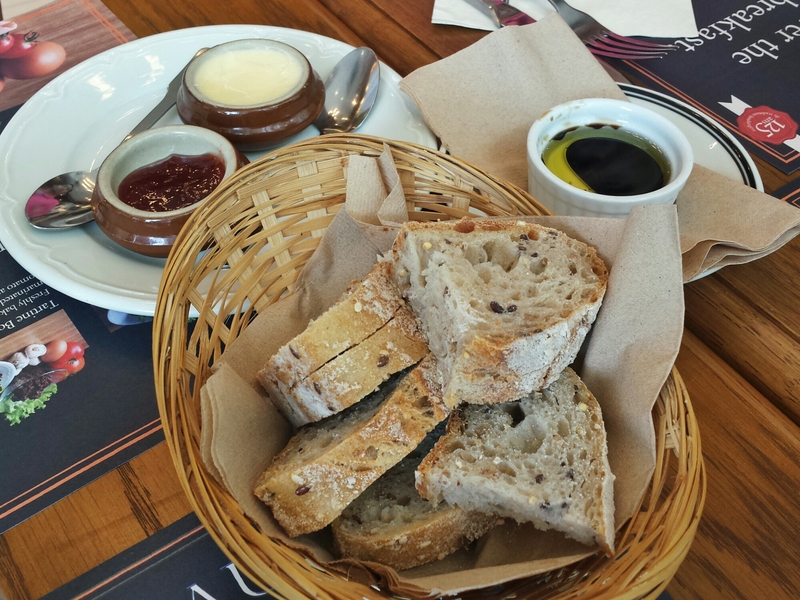 While waiting for our orders to be served, we were dished out a complimentary bread basket with butter and jam, and olive oil with balsamic vinegar. The bread was so good especially when dipped in the olive oil and balsamic vinegar mix. 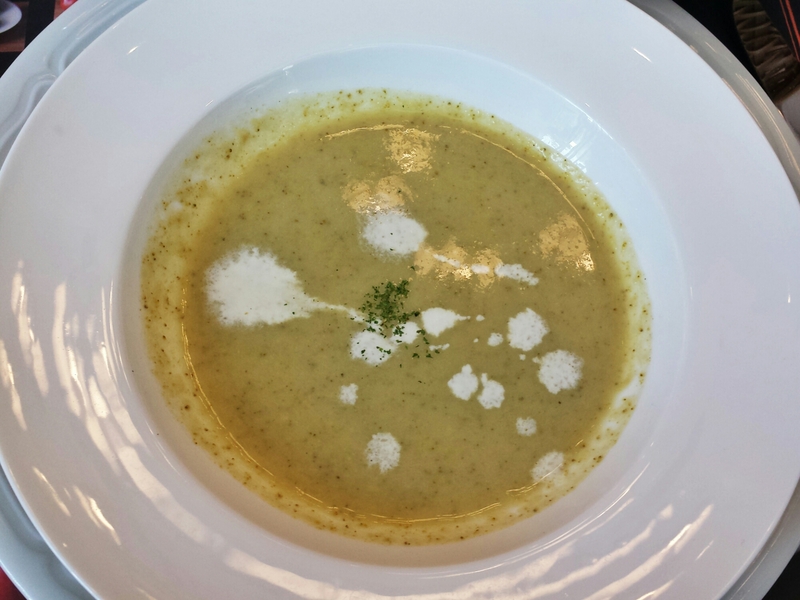 Allan and I split an order of Cream of Asparagus Soup which is their “Soup of the Day” (Phph110). Despite splitting an order between us, I still felt like the serving was generous. It came with an equally delicious slice of bread. I loved it! Below are what my friends ordered. 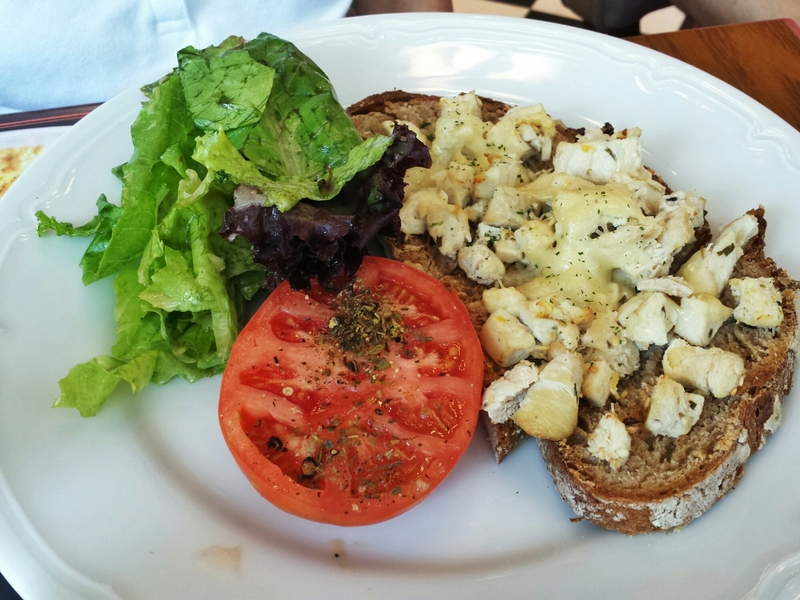 “Poulet Citron” (Php280) | An open sandwich topped with marinated chicken breast in lemon and garlic garnished with chopped parsley served warm with a side salad. 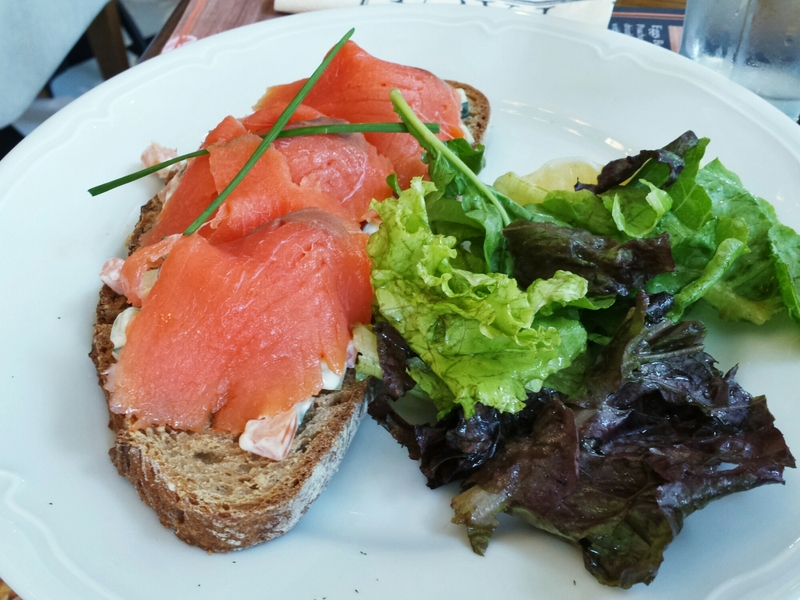 “Tartine Saumon Fume” (Php320) | An open sandwich topped with smoked salmon, cucumber and soft white cheese served cold with a side salad. 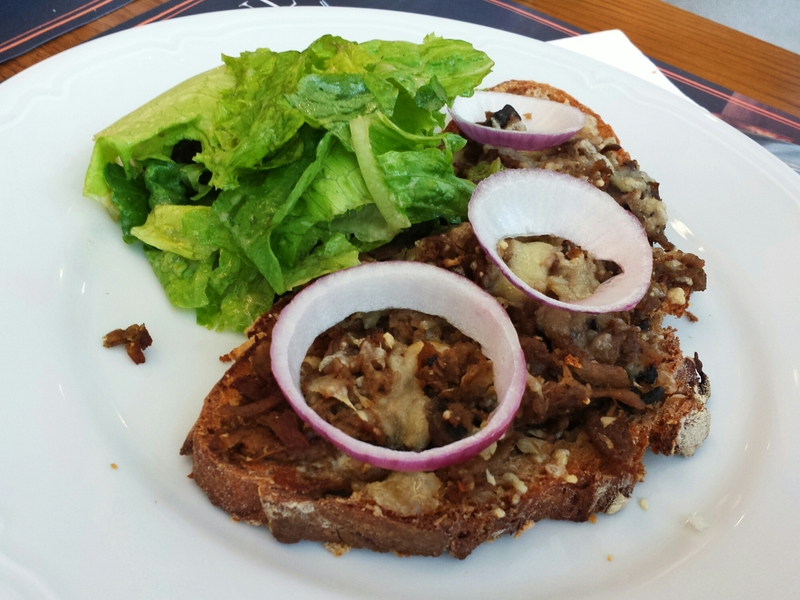 “Tartine Boeuf” (Php300) | An open sandwich topped with sauteed beef, onions, fresh mushrooms and leeks topped with melted cheddar cheese served warm with a side salad. 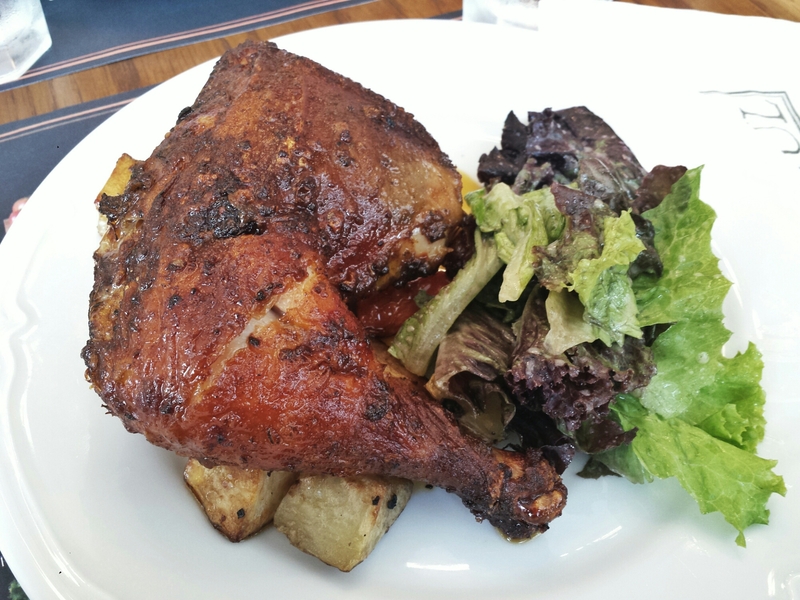 “Cuisse de Poulet Rotie” (Php340) | Roasted chicken leg with herbs, served with salad, sauteed potatoes and shallots. This is my order and it was the last to arrive on the table. Our server kept telling me that they were making sure that my chicken is thoroughly cooked before they serve it to me. I didn’t mind because who likes salmonella, right? And when it finally got to my table, I have to say it was worth the long wait! The chicken was indeed cooked well and perfectly seasoned. I also loved the potatoes but for was missing the shallots (no biggie). I would most probably order this again when I go back to the restaurant. Posted: March 5, 2014 in Picdump, Tummy Fillers, Where Have I Been? 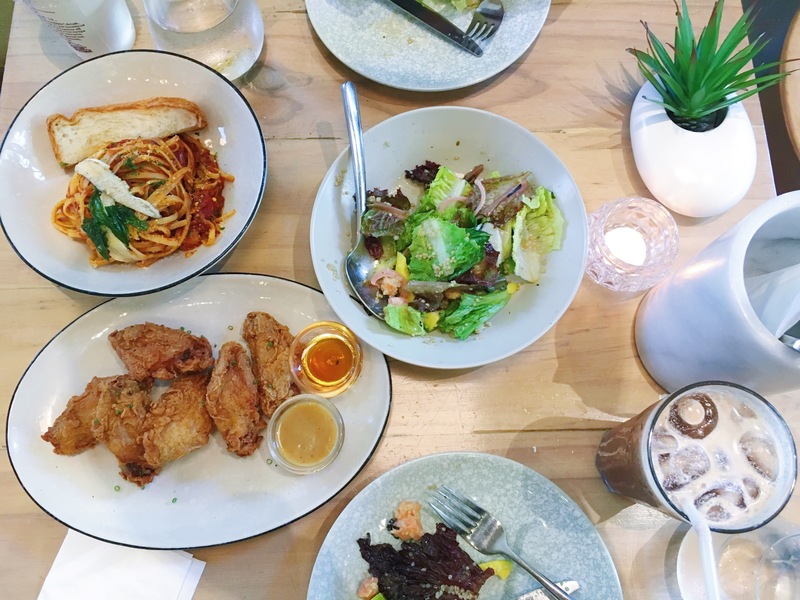 Tags: antonio's, arugula, baby back ribs, birthday, bread, breakfast at antonio's, brothers and sisters, cheesecake, chicken, clean eats, family, fish and chips, fresh salad, freshly baked bread, friends, fries, garlic potato, happy birthday, pasta, pizza, pork ribs, portabello, Raspberry Vinaigrette, restaurant, restaurant review, roast chicken, salad, seafood, Tagaytay, tagliatelle, tartar sauce, truffle, weekend at tagaytay, weekend! 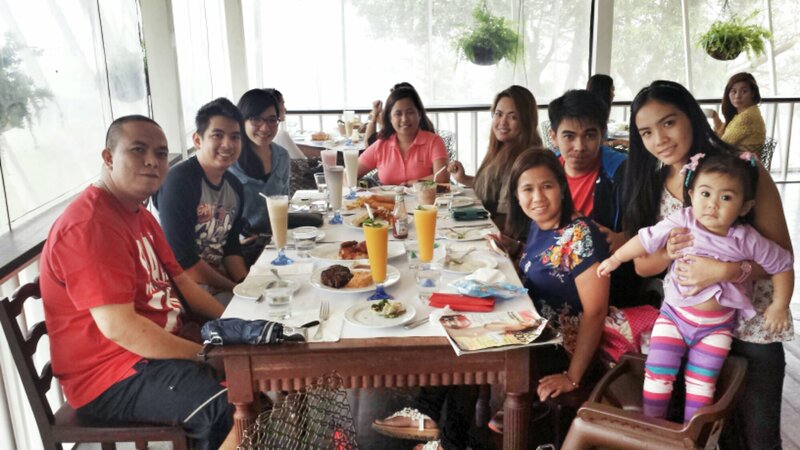 The “Brothers and Sisters” gang trooped over to Tagaytay to celebrate the birthdays of our January babies – Nero and Jo. We booked an overnight stay at a cozy Bed & Breakfast but decided to have lunch first before checking in. 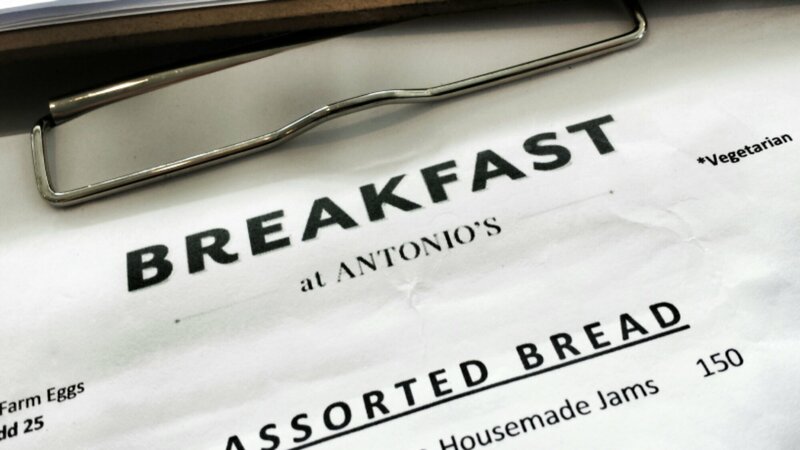 The celebrators chose BREAKFAST at ANTONIO’S for their birthday lunch. Going up to Tagaytay took us forever and we were so hungry by the time we got to the restaurant. It was already past lunch time and we expected the lunch-hour-crowd to have dissipated, but we expected wrong LOL. We still had to wait for almost 30 minutes before getting seated. No complaints though because the promise of a good lunch kept our spirits up. 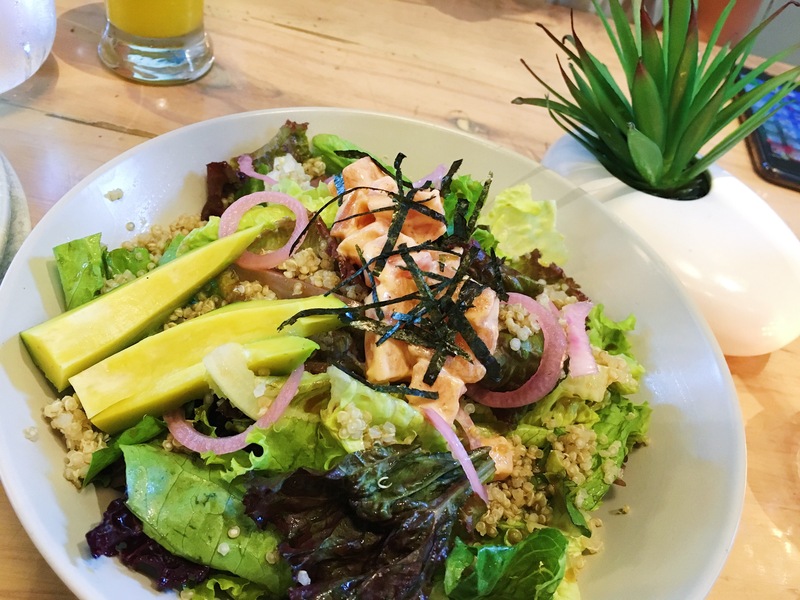 Antonio’s Farm Fresh Mesclun Salad with Raspberry Vinaigrette (P350) | I hope I am getting the name of this salad right, hahaha! 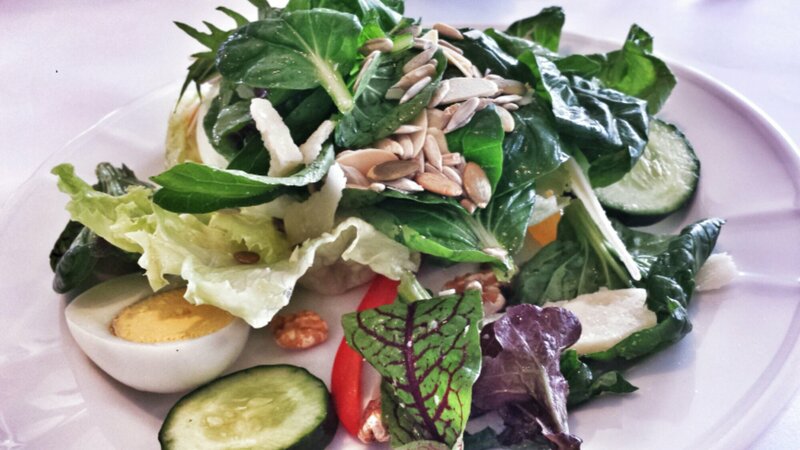 It had boiled egg slices, different types of cheese, some kinds of nuts and seeds, cucumber, bell pepper, assorted leafy greens with a raspberry vinaigrette. LOL. I laugh at my poor attempt at describing this dish. One thing I am sure is that everything on the plate was demolished. 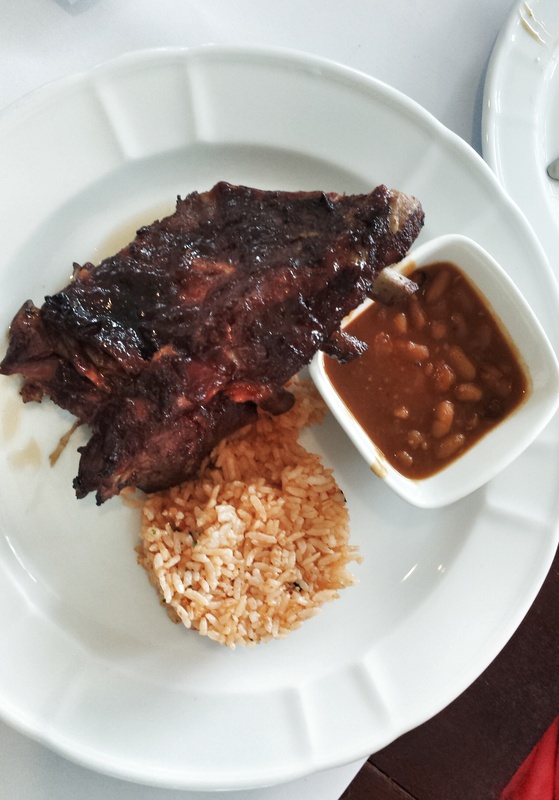 Smoked Pork Baby Back Ribs w/ Mexican Rice & Baked Beans (P490) | *A Rack of Pork Ribs marinated and grilled in Barbecue Sauce, served w/ Thick Fries, Garlic Chips and Cilantro. This is in their High Noon Special which they only serve from 11 onwards. I think I missed the garlic chips in this dish but the ribs were good. They were very savory and soft, the meat can easily be pierced off of the bone. 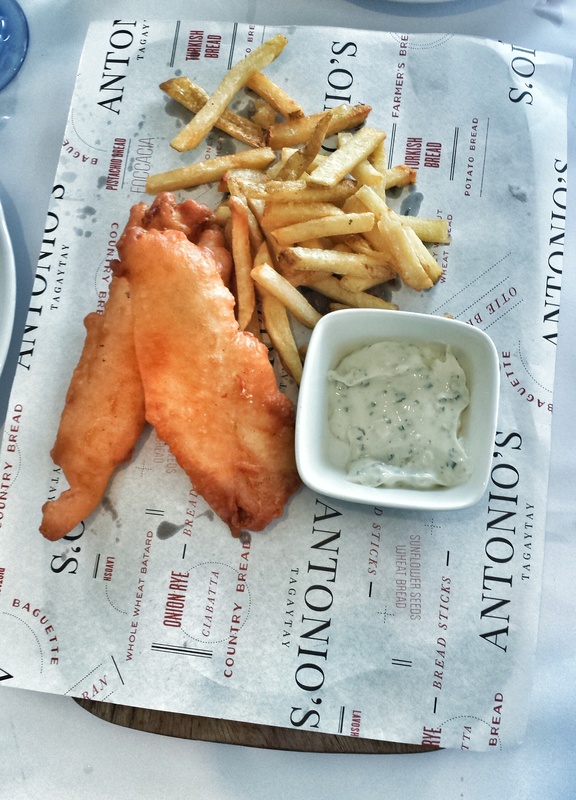 Fish & Chips (P650) | *Dover Sole w/ Chicken Salt and Tartar Sauce. I am not familiar with dover sole nor chicken salt but I know that their tartar sauce was good. I even dipped some of the fries in it because it was that refreshingly good. The fish was also nice, lightly battered and still juicy and flaky. And the fish slices were big, perfect for sharing. 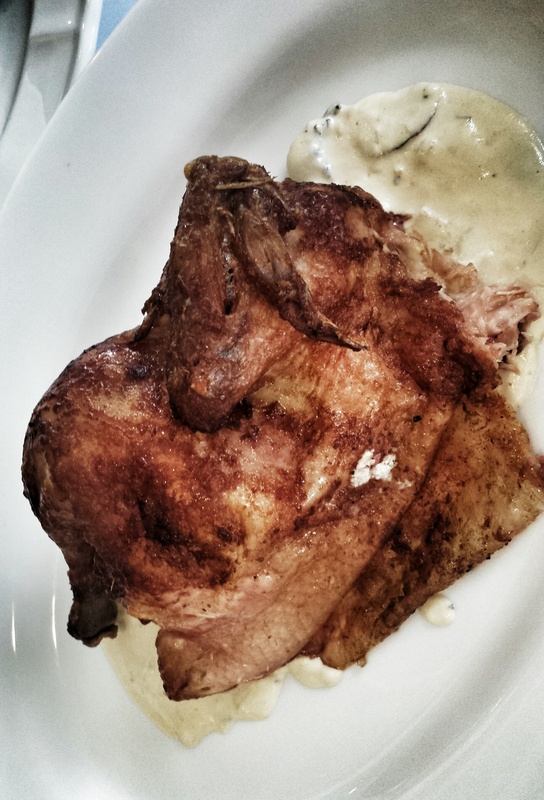 Roast Chicken stuffed w/ Rosemary & Garlic Potato (P600) | Another item in their High Noon Special. The chicken was perfectly done – the breast was still very much juicy and plump. However, the cream sauce came out too salty. Such a shame because I would have loved to slather my chicken with all that creamy goodness. 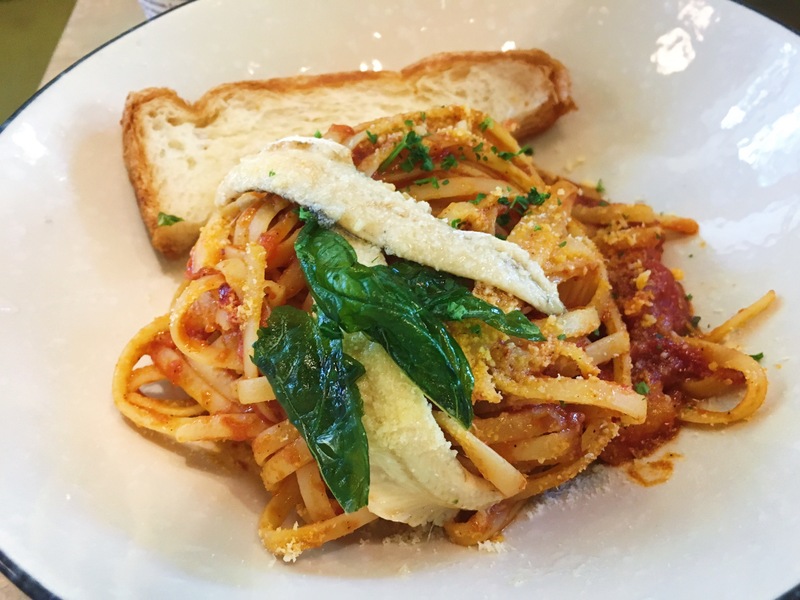 Mixed Seafood Tagliatelle (P610) | The tomato-based sauce was good, a little on the sour side which I love. 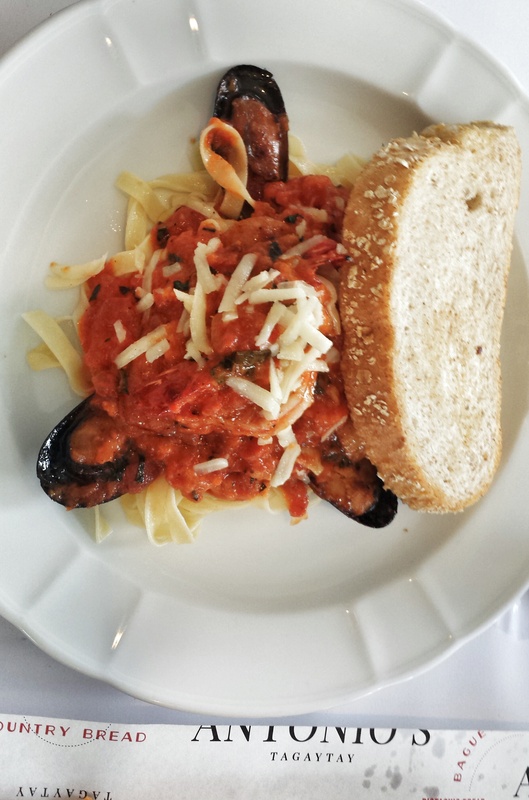 It came with a mix of seafood fare – mussels, shrimp, scallops and some kind of fish. The noodles were a tad bit overcooked, bordering on the mushy side. 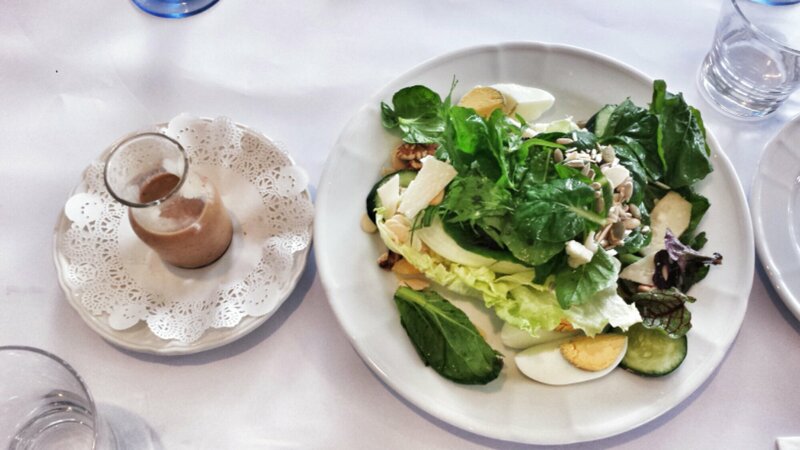 Not pictured was an order of Portabello Tagliatelle (P495) with truffle cream sauce. I LOVED IT! The noodles were perfectly cooked and I just loved the earthy and creamy sauce with generous slices of portabello mushroom. 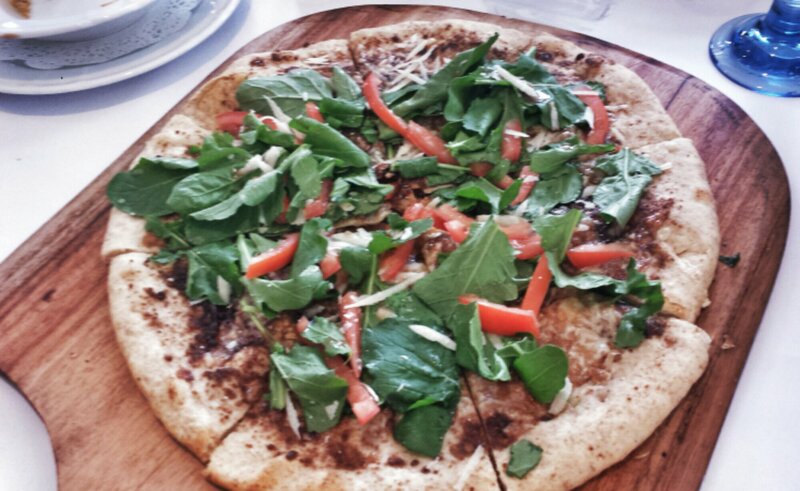 Arugula Tomato Balsamic Pizza (P490) | We originally ordered this but was informed by our server a few minutes later that they couldn’t serve it because their oven broke down. That’s the reason why we had two orders of pasta instead. However, it turned out that their oven was working after all and that they’ve already prepared this before they got our order cancellation. So our server gave it to us instead, FOR FREE! Yay for free food! Haha. That being said, it was also very good. The crust was thin and crunchy (just how I like it!) and the toppings were fresh and light. We weren’t really up for dessert because we were all really full by this time. We also ordered drinks (milkshakes and smoothies not pictured) that’s why the craving for something sweet was not there. 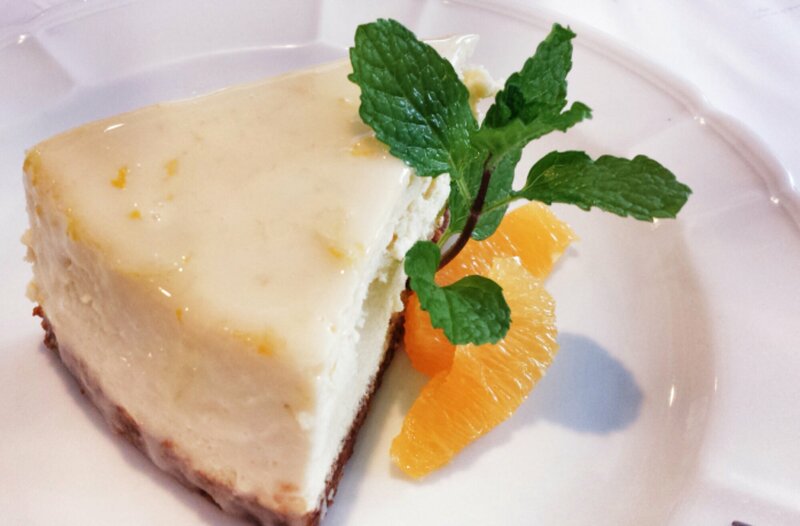 However, Jo wanted their cheesecake so we ordered a slice of their orange cheesecake. I honestly didn’t like it that much. There was something weird about the orange-mint-cheese combo that I just didn’t appreciate. 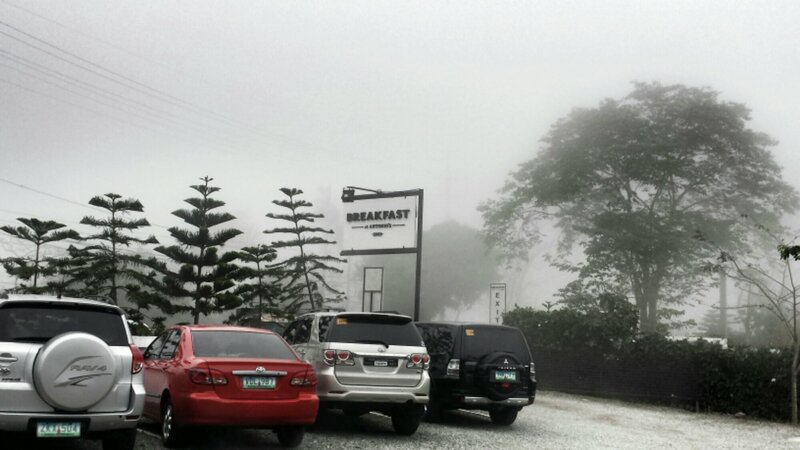 When we were fully satiated, we headed out only to be greeted by thick fog everywhere. I swear, it almost felt like a scene from a horror movie. It was also drizzling lightly so we quickly snapped a token souvenir photo at the restaurant’s facade. 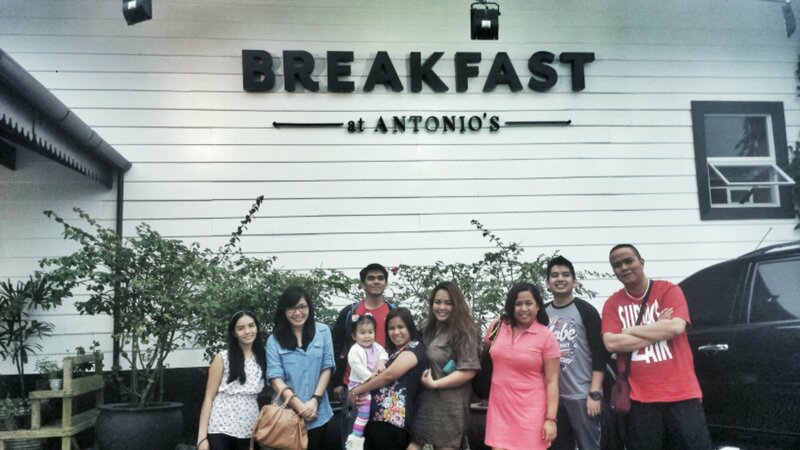 We were all smiles and filled to the brim – a perfect way to kick off our Tagaytay weekend.